The wedding of Pippa Middleton, younger sister of Duchess of Cambridge Kate Middleton, is set to steal all the limelight this weekend. London: With royalty as in-laws and a reality TV star rumoured to be the best man, it is little wonder that excited British tabloids have dubbed this weekend's marriage of Pippa Middleton, younger sister of the Duchess of Cambridge, the wedding of the year. Throw into the mix the most high-profile appearance yet of Queen Elizabeth's grandson Prince Harry with his US actress girlfriend and a future British king acting as page boy, Middleton's marriage to financier James Matthews has sparked a press frenzy with papers poring over the wedding plans. 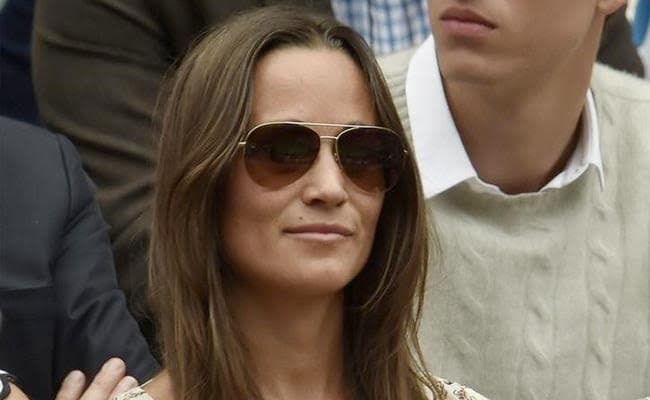 "A 100,000 pound glass marquee, the best temporary loos money can buy and a Spitfire flypast... we're getting to know a lot about Pippa Middleton's wedding," the Daily Mail told its readers. Middleton, 33, unexpectedly gained global fame when she acted as maid of honour at the 2011 wedding of her sister Kate to Prince William, second in line to the British throne, thanks mainly to the figure-hugging dress she wore for the occasion. "It's a bit startling to achieve global recognition (if that's the right word) ... on account of your sister, your brother-in-law and your bottom," she wrote in introductory comments to a recipe and party planning book she later penned on the back of her new found fame. Unlike her sister who married at London's Westminster Abbey, Middleton and Matthews will wed at the her local village church, the picturesque St Mark's in the rural village of Englefield about 50 miles west of London. William and Kate's son Prince George will act as page boy while their daughter Princess Charlotte will be one of the bridesmaids. Matthews' younger brother Spencer, who starred in the popular British reality TV show "Made in Chelsea", is expected to be the best man, according to press reports. Meanwhile, Harry, William's younger brother, is due to be accompanied by girlfriend Meghan Markle, star of the TV legal drama "Suits", in what would be their most prominent outing together since he revealed they were dating last November. After the wedding, which newspapers reported would have a Scottish theme, there will be a reception held in a huge glass marquee at the family home of Middleton's parents in nearby village of Bucklebury. Following her sister's wedding, demand for photos of Middleton became such that paparazzi took up to 400 pictures of her every day, an inquiry into Britain's press standards heard in 2012. However, with such a high-profile guest list, those attending the wedding have been banned from uploading photos to social media, although a small group of photographers will be allowed to picture the wedding party when they arrive and leave the church.